Why? Because firstly you get 500 Tesco clubcard points free, secondary you earn cash back every time you shop. 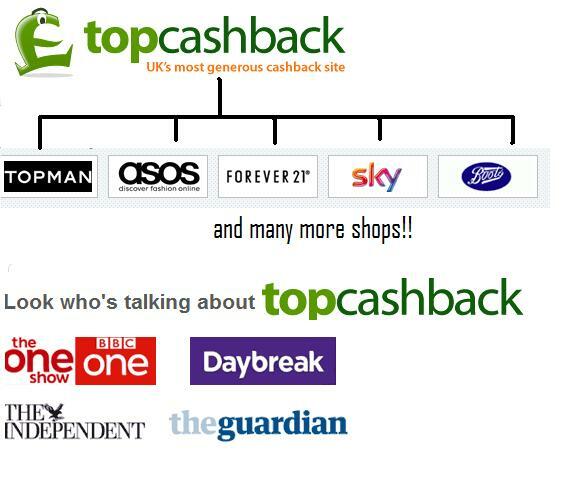 Top cash back is connected with an endless list of big brands, highstreet shops, online websites so when you signup and then sign into Top cash back, search the shop you would like to buy from then click on the given link and this registers you was referred by Top cash back and upon completion of the transaction and approval is done by Top Cash back and retail (usually 2-4 weeks) your account in Top Cash back will automatically credit your account with the cash back value. Below is just a very small list of brands Top cash back has on their site. They actually have over 4,000 retailers listed. Another website that works just like Top cash back is Quidco. They actually also have over 4,000 retailers listed. 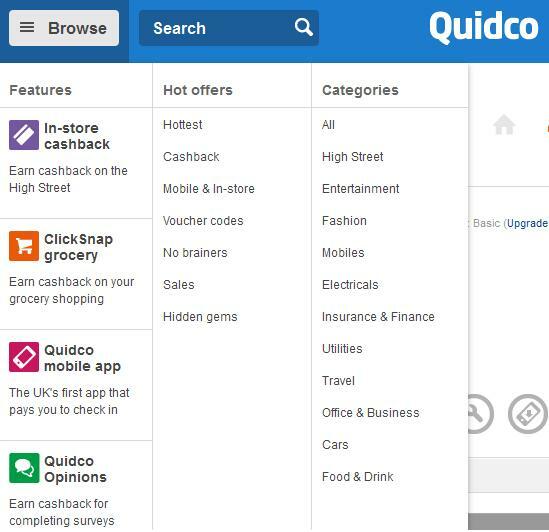 Quidco has hot deals and various features (please see screenshot below). Be an aware and smart online shopper it just takes a few additional minutes but you save and earn back whilst you spend. I personally would suggest you sign up to both, and just before doing your shopping have a quick 5-10minutes search in each to see which offers the best cash back value, as from experience one may be better than the other for different retailers. Furthermore the deals change from time to time. I’ve been able to earn cashback at over 4,000 retailers, including loads of top High Street names.